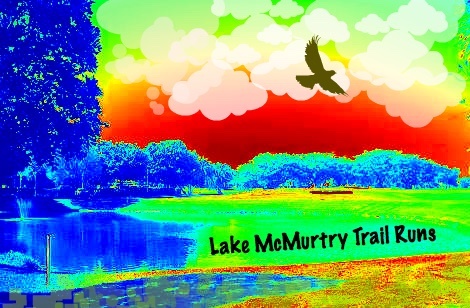 The Lake McMurtry Trail Race is proudly going into it's 18th year. The race was started in 1999 by Earl Blewett. 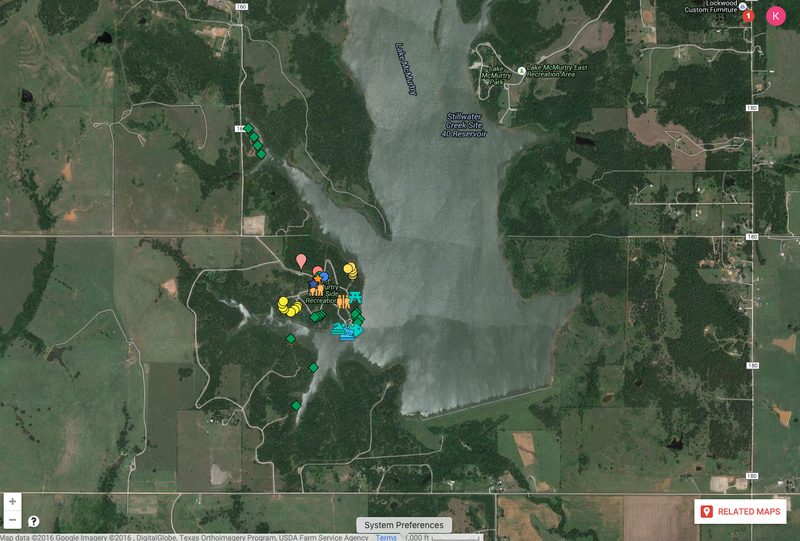 Earl saw the beauty of Lake McMurtry with it's gorgeous scenery, soft, beginner friendly trail system, spectacular lake views and reputation for having some of the best trails in the state of Oklahoma for both running as well as mountain biking. 50K, 25K, 12K on single track winding through the pines and along the shores of Lake McMurtry. 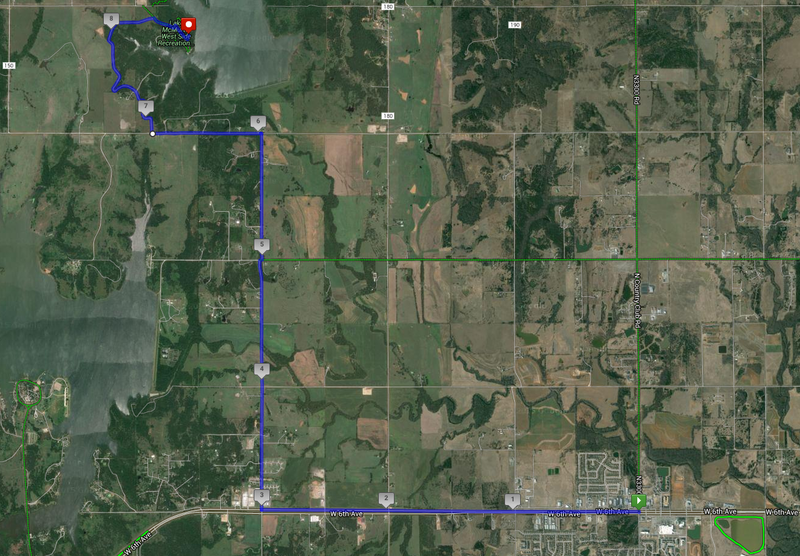 This is a moderately difficult course--much easier than Turkey Mountain, more difficult that those boring paved bike paths. The north loop has two aid stations that you will hit twice. The south loop (which is really an out-and-back) has one aid station that you see on the way out and on the way back. You never go more that 3.5 miles between aid stations. This race has had snow, heavy rains, and temperatures in the 90s. We recommend using a water bottle or a hydration pack. The aid stations will have the general fare--pretzels and chips, M&Ms (both kinds), cookies, PBJs, boiled potatoes and salt, Gatorade and water, Cole and Mt Dew, and a few other goodies. There will be BBQ and fixins at the finish line. 25K (15.5 miles) $60- Start time is 8:30 A.M.
12K (7.5 miles) - $45 - Start time is 9 A.M. Above prices good through 2-29-16/. Prices go up $5.00 after that. All races have a nine hour time limit. An early start is available for the 50K which would give them 10 hours. All finishers receive medals, and there will be trophies for the top three male and female in each distance. We will have 2017 LAKE MCMURTRY ONLINEREGISTRATIONLAKE MCMURTRY ONLINE RGISTRATIONage group awards three deep in each grouping. The 50K and 25K have to traverse the LEAP O' DOOM. This vast crevice requires a purposeful running start and a well-calculated jump to get from one ledge to the other side. We will have plenty of warnings--signs and caution tape. We have EMSA on speed dial, as well as first aid kits and temporary body casts available as well. We'll also have a camera crew there, so leap high and go for some air. Scream, flap your arms--these techniques seem to help. The race is on the WEST SIDE of the lake. Head west of Stillwater on 6th Street. Look for Redlands Road (about 3 miles west of Wal-Mart. Turn NORTH on Redlands Road. Go 3 miles to T intersection. Turn left. go .8 of a mile to park entrance. Turn right, and follow the road around to the park office. From there, turn left and it curves around to the only covered shelter in the park. Park wherever you can find a place where you are mostly off the road.